Over the last year, Xiaomi has been diligently pushing out it MIUI 10 updates and the list of devices which have already received the update is quite long. Notably, this update was based on Android 8.1 Oreo. A score of devices including the Mi 8, Pocophone (POCO F1), Mi MIX 3 have already received MIUI 10 based on Android 9 Pie and now, two more smartphones now eligible for stable Pie updates – Mi Max 3 and the Mi 8 Lite. After success in India, Xiaomi is after Europe and has been faster than ever to ensure the latest software compliments its price-effective offerings. Xiaomi Mi 8 Lite comes after the Mi 8 SE in the series in terms of specs, but it makes up by its striking looks and the sub-300 euro price tag (currently 206 euros on Amazon France). Mi 8 Lite packs in Snapdragon 660 along with 4GB or 6GB of RAM. It comes with a 24MP selfie camera and 12MP+5MP dual cameras on the back. Only three months after launching the Mi 8 Lite with MIUI 10 based on Android 8.1 Oreo, Xiaomi began testing MIUI 10 based on Android 9 Pie. The stable update to Android 9 Pie is now available for the smartphone. You can download the full firmware file using the button above. Mi Max 3, the gigantic phablet from Xiaomi with a 6.9-inch display, has also started receiving MIUI 10 stable update based on Android 9 Pie. 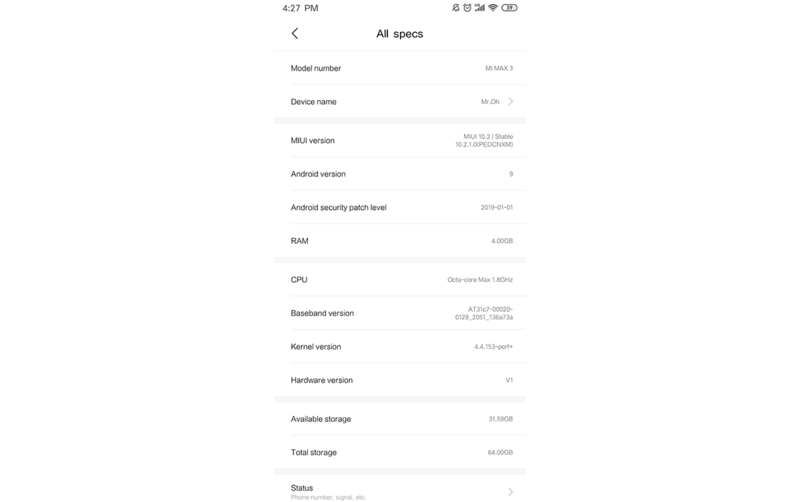 Like the Mi 8 SE, Xiaomi Mi Max 3 was also a part of the MIUI 10 beta testing before the Android 9 Pie update, and is now maturing for a stable release. You can grab the latest firmware from the link below. You might not see a lot of changes on the surface since Xiaomi’s custom skin MIUI 10 remains the same, but the latest update allows you to try out a variety of mods targetting Android 9 Pie. The firmware can be installed using the “Choose update package” option in Settings>About phone>System Update. You can also flash the update packages using TWRP or MiFlash tool but be careful to check for options in the latter that might re-lock the bootloader of your device in the process. Thanks to XDA Recognized Developer yshalsager for the links!